A few more photos of buildings that are still standing, from the ad-pages of the 1929 city directory. First up is the Southern Fountain & Fixture Mfg. Co. at 1900 Cedar Springs. 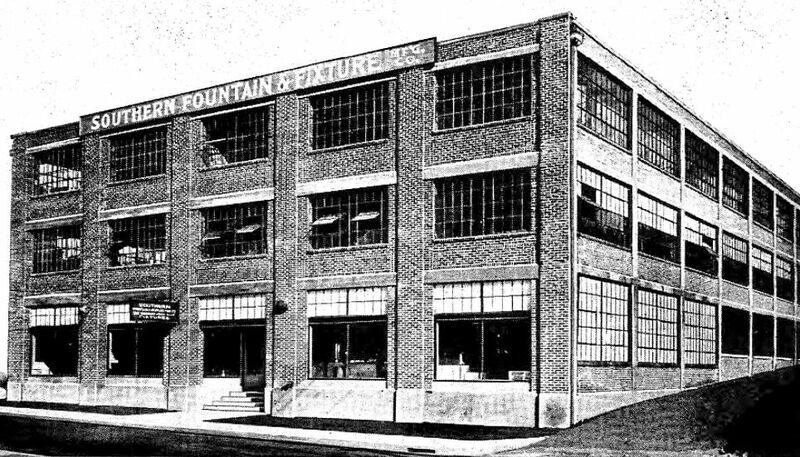 The Southern Fountain & Fixture plant was built in 1925 at the corner of Cedar Springs and N. Akard. They manufactured and sold soda fountains, showcases, and fixtures. A major new residential high-rise is going up in the 1900 block of Cedar Springs (or has gone up — it’s been a while since I’ve been over there), but I think it’s going up at the other end of the block. (But somehow its address is 1900 Cedar Springs….) So, I’m not absolutely sure this building IS still there. 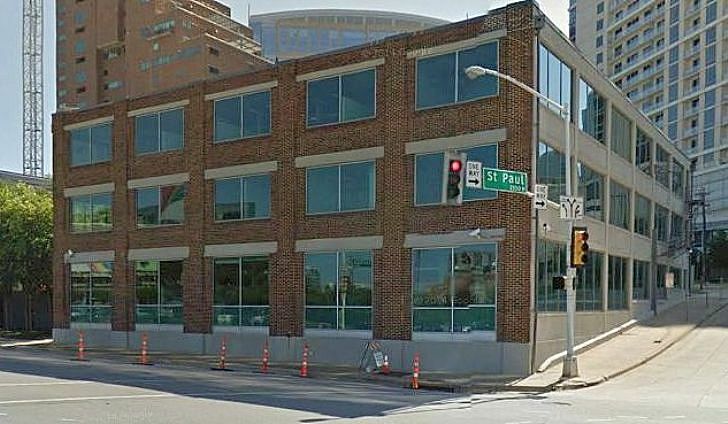 Here’s a 2014 image from Google Street View. It’s a cool building — hope you’re still there, cool building! 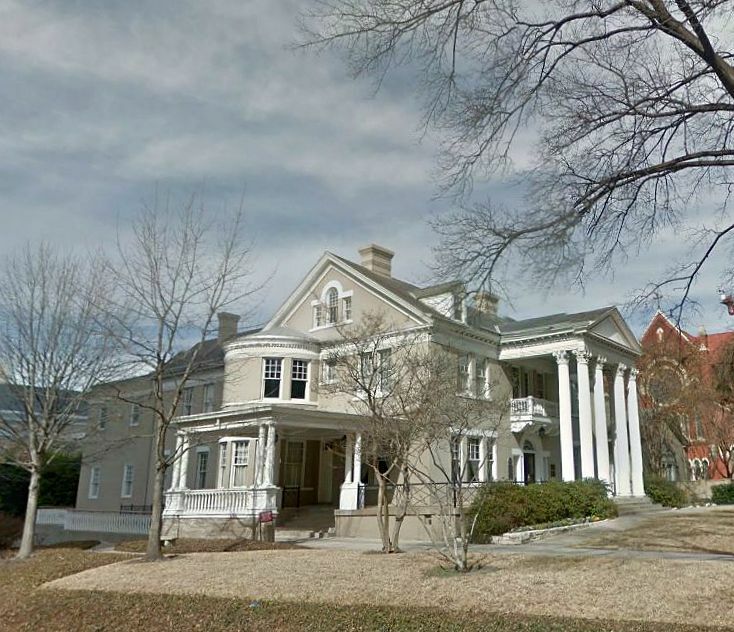 Next, the Loudermilk-Sparkman Funeral Home at 2115 Ross Avenue. That place was a funeral home for 50 years — longer than it’s been anything else. That’s a lot of dearly departeds. (Clyde Barrow is probably the most famous cadaver to be wheeled through its portals.) In the ’70s, the granddaughter of Col. A. H. Belo sold the house — which was built in 1899/1900 — to the Dallas Bar Association, and today it is a swanky place to get married or eat canapés. And, thankfully, it’s still beautiful. The Evangelical Theological College, 3909 Swiss Avenue, in Old East Dallas. This “denominationally unrelated” seminary — where tuition and rooms were free, and board was at cost — was built in 1927 for $65,000. 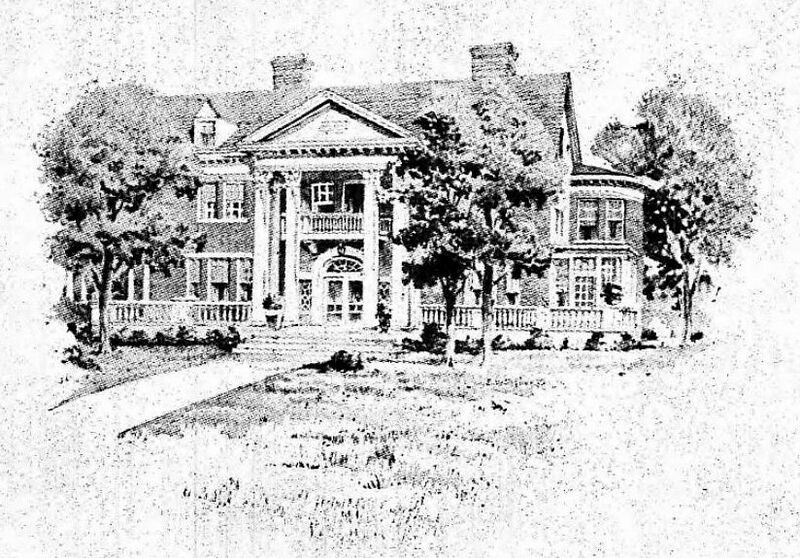 When the three-story-plus-basement building was finished, the college was in its fourth year, having moved from its previous location in The Cedars. “The college now has forty-five students representing fifteen states of the United States, three Canadian provinces and Ireland…. The faculty is composed of thirteen men…” (DMN, Dec. 25, 1927). The college has grown by leaps and bounds and is now the Dallas Theological Seminary, and the original building is still there. 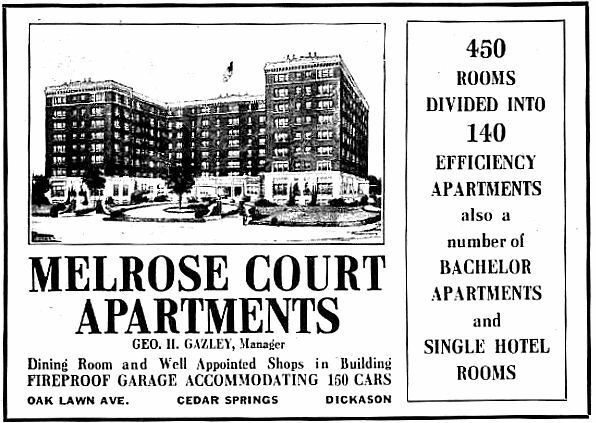 Lastly, the Melrose Court Apartments and Hotel, 3015 Oak Lawn. 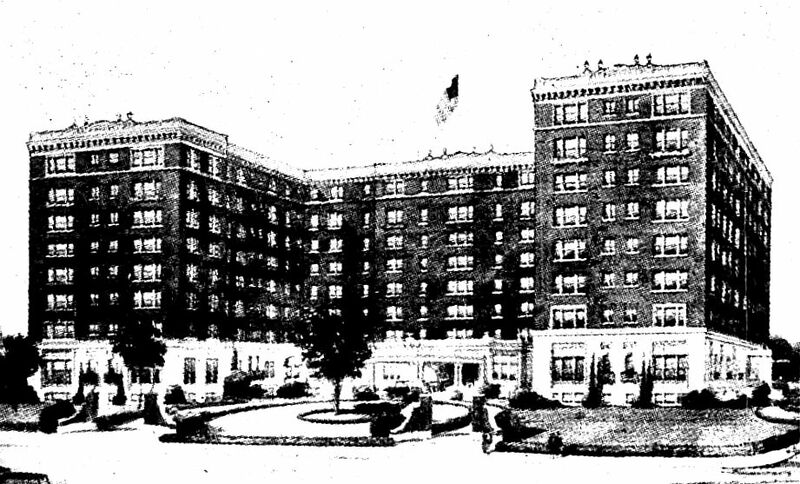 The Melrose, designed by architect C. D. Hill, was built in 1924, and as it was about to throw open the doors of its bachelor apartments to eager Dallas bachelors (and whomever), it advertised itself thusly: “Of palatial splendor, rivaling in dimensions the best appointed apartment hotel buildings of this modern day, it is equal to the best of any of America’s cities of a million.” (DMN, Aug. 31, 1924) Well, of course it is! It’s been a landmark in Oak Lawn for over 90 years. I know it’s officially now the Warwick Melrose Hotel, but I’ve never heard anyone call it anything but The Melrose. All ads from the 1929 city directory. My previous post, “Random Still-Standing Buildings Featured in Ads From 1927,” is here. Hey, the Melrose! My wife and I spent our wedding night there in 1992. Great antique beds back then; I dunno what it’s like now, though. I’m going to guess … WAY more expensive! we dug on the first one that as the site of the old jewsih community on that area, the melrose hotel was the old cole cemetery number 2….dallas is a young city with a need for this moment…..we give life to the decades of lost landmarks…..life is the thing we should call light of the lost landmarks.